Green to yellow fruit. Flavour depends on variety. 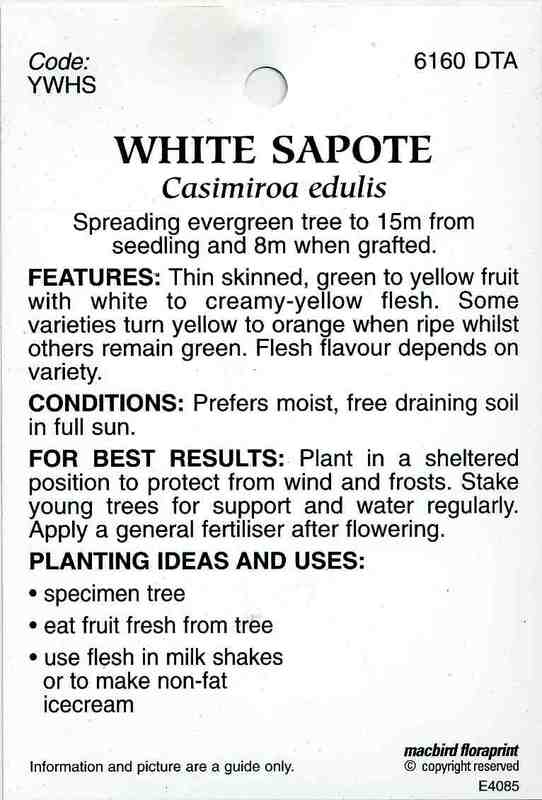 ﻿Spreading evergreen tree to 15m from seedling and 8m when grafted. 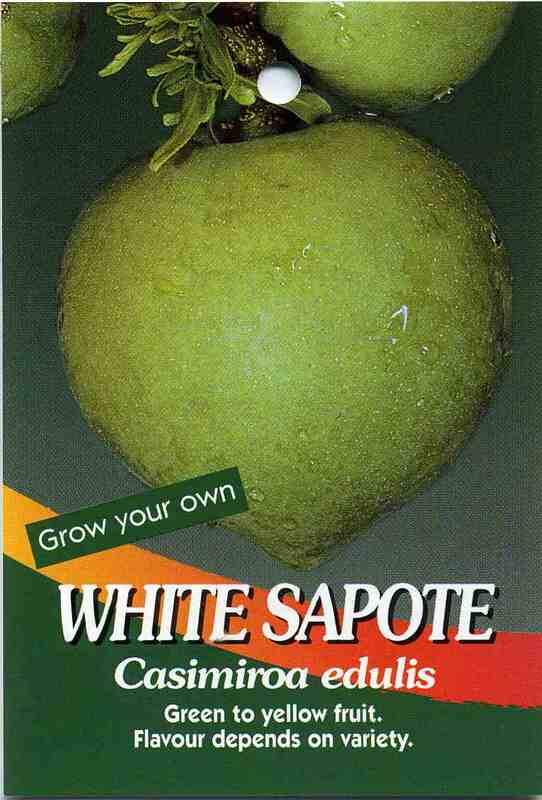 FEATURES: Thin skinned, green to yellow fruit with white to creamy-yellow flesh. 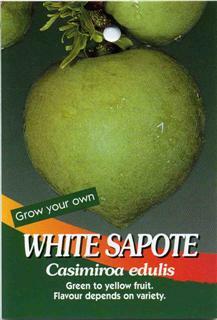 Some varieties turn yellow to orange when ripe whilst others remain green. Flesh flavour depends on variety. CONDITIONS: Prefers moist, free draining soil in full sun. 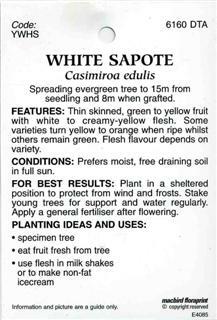 FOR BEST RESULTS: Plant in a sheltered po sition to protect from wind and frosts. Stake young trees for support and water regularly. Apply a general fertiliser after flowering.